Google 'Scottish Enlightenment' and you're more likely to see results about Adam Smith and David Hume as there is of picking up details on this less than prolific four-piece. After their 2010 debut collection St Thomas, the band who describe themselves as 'spread up and down Scotland's east coast like margarine' threatened to find themselves written about in those 'where are they now' columns. But finally they're back and with a much tighter and more tune-laden set than their grittier first effort. There's a pleasing old-school indie sheen all over Potato Flower which could have your ears placing this anywhere between now and 1995. David Moyes' sombre vocal style will occasionally make listeners wonder if Aidan Moffat has made an uncredited cameo (the first ten seconds of album opener 'Keep the Cats Outside' being a case in point). But before long, the leader and his crew (including brother Angus on bass) are carving out their own brand of Caledonia miserabilism with songs about life, death, domestic strife, and struggling against the odds. 'Machinery' starts off as a curious blend of Elephant Shoe-era Arab Strap merged with the feedback bits on Max Richter's reimagining of The Four Seasons, but soon Moyes' lilting delivery pushes the pulsing composition through to a less-trodden spot. Everything comes together wonderfully on 'The Last Howl', drums and lead guitar in perfect tandem when the singer takes his leave from the song. Even a lesser light such as the quasi-ponderous 'Colour it In' is saved by a captivating rock crescendo. 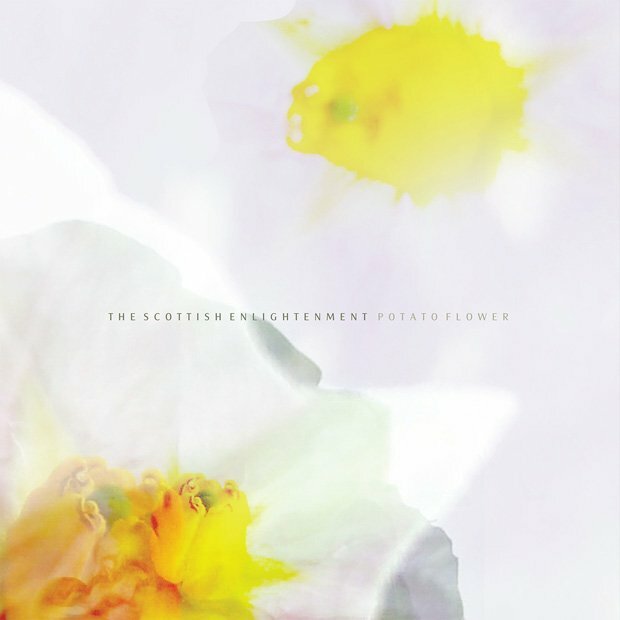 In our attention-span-deficit culture, Potato Flower is certainly no quick fix and plenty will give up the ghost early doors. But give it time, let it grow and the gorgeous elements of this album will eventually find a welcome home in your skull.